Looptate Games - Welcome to GraduateSequenceAndSet Games! 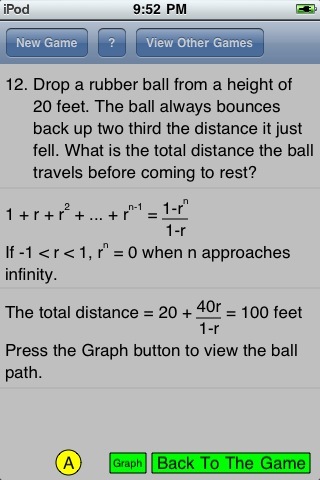 Graduate Sequence and Set Practice provides students with a variety of challenging word problems that will help them develop a solid foundation of math skills. 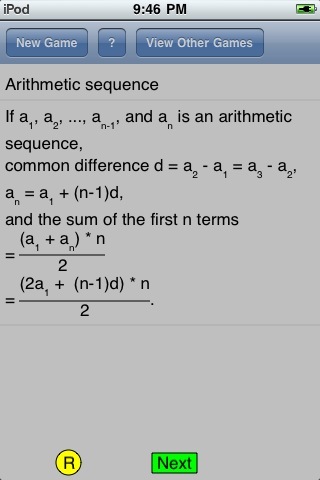 Graduate Sequence and Set Practice will help students prepare for the math portion of standardized tests, such as the SAT (Scholastic Aptitude Test), and will help improve performance on test day. 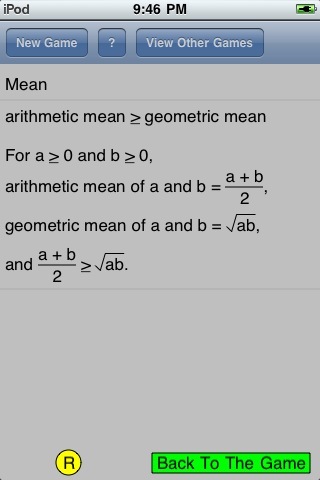 The following five applications are bundled. 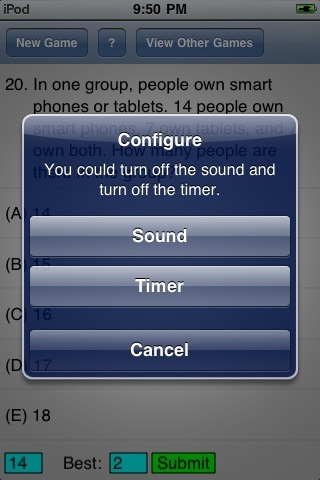 For each application, use the Configure button in the help window to turn the sound and timer on or off. 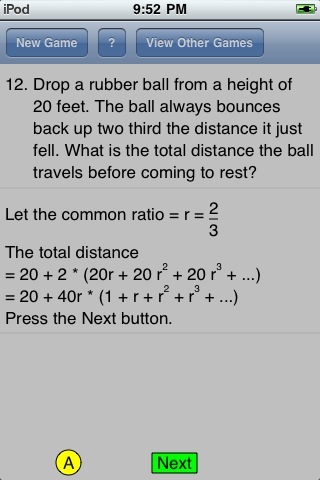 Select Rules to see the rules for working with each application. 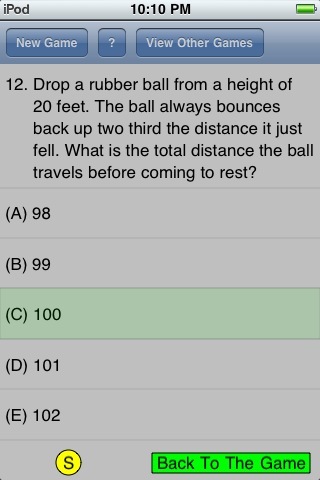 Select Show Solution to see the correct answer. 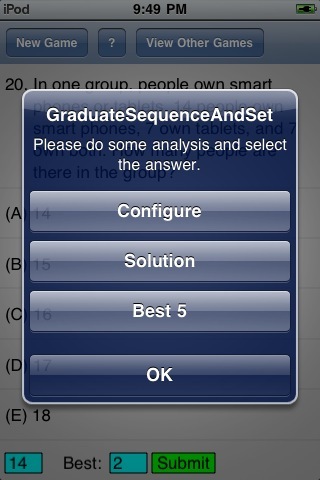 Select Analyze to see a detailed explanation of the answer. Disclaimer: SAT is a registered trademark of the College Entrance Examination Board, which does not sponsor or endorse this product. The player presses the help (?) button on the top bar, the Help window is popped up. The player can access the Configure, Solution, and Best 5 buttons from the Help window. Both the Sound and the Timer buttons are the toggle buttons. The player can turn on/off the sound and the timer by pressing these bottons. 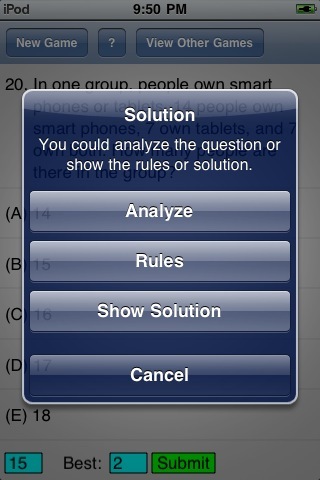 The player can access the Analyze, Rules, and Show solution buttons from the solution window. 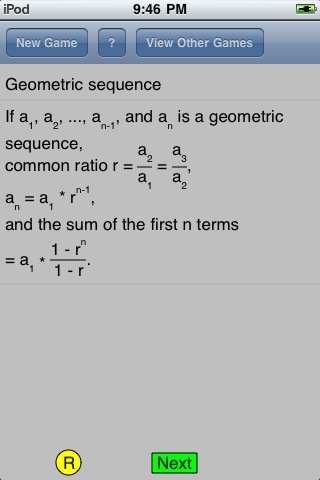 The player can see the rules of the set, arithmetic sequences, geometric sequences, and mean by pressing the Rules button. 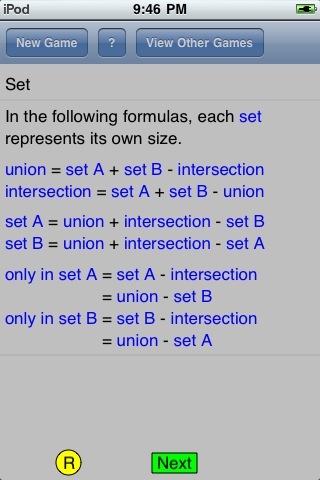 Figures 1 to 5 show the question, the solution, and the analysis of this question. 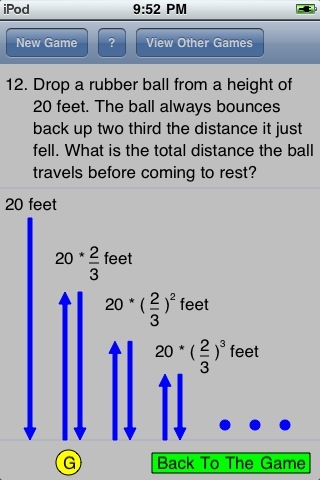 Figure 6 shows the path of the rubber ball. 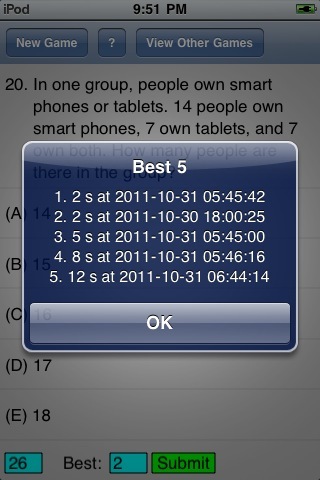 The best 5 performances will be saved automatically by turning on the Timer button.